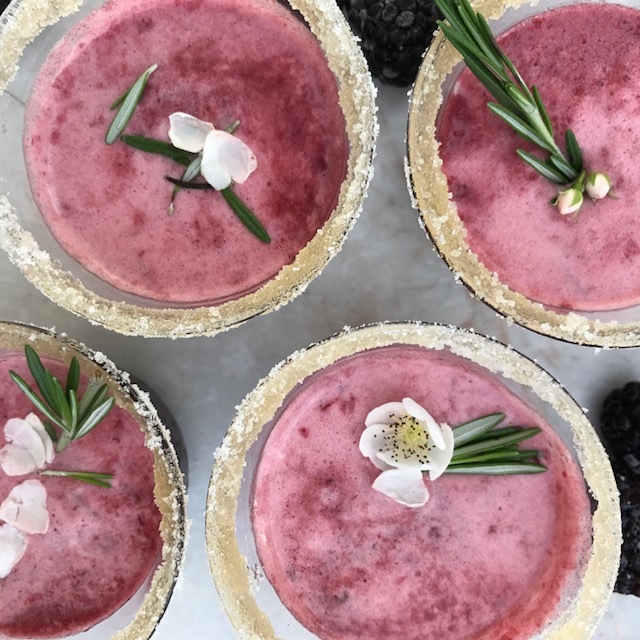 Recipe - Blackberry Whiskey Cocktails for All Seasons - Nisbets Australia Blog - Industry news, trends, recipes and more! Not that the seasons have ever stopped an Aussie – we love to drink all year round! Here’s a great recipe for blackberry whiskey cocktails for you to try. Whether the sun shines or not, these will hit the spot! "Hearty, fruity and exactly what guests love for an autumn meal." – Chef Rick Tarantino, M.S. Garnish with a blackberry and small white wildflowers (if available). Make this drink about the whiskey. Give guests the option to have their own tasting menu: they may choose from a few specialty bourbons, and a group will have fun tasting the different notes. Heat this up with spicy flavours! Substitute tequila for whiskey, and rim the glass with rock salt. Add jalapenos (2-3 grams) or chillies to create a spicy, short cocktail instead. Double it (but add more soda) for a great dinner option too! Start with rosemary, then increase the herbs so it flatters whatever meal they decide on. Add extra stone fruits (such as sliced grilled cherries or diced peaches) to increase the sweetness!